Even though teachers can’t scratch their nails on a chalk board anymore to get their students’ attention, there are many other ways to keep your students attentive in the classroom with good board work. I always go into an ESL classroom with at least three colors of marker, but preferably four. I’m a grammar nerd, so when teaching grammar, it’s essential to have different colors to show different parts of the sentence or to highlight the structure of new tenses. When it’s more of a vocabulary class, I’ll use different colors for different types of words. You might think that it takes longer to process which marker to use before you write it on the board, but once you get into a rhythm of your own, it takes just a split second longer. By using multiple colors, it’s easier for the visual learners in the classroom to pick up on grammar patterns and to separate different types of words that are written on the board. While it’s always visually pleasing to have colors and lots of stuff happening on the whiteboard, practice some control and organization to keep things easy to follow. If you’re teaching an English reading class and finished with one lesson, use the time when all of the students are reading in their books to erase what was on the board and prepare it for the next section. 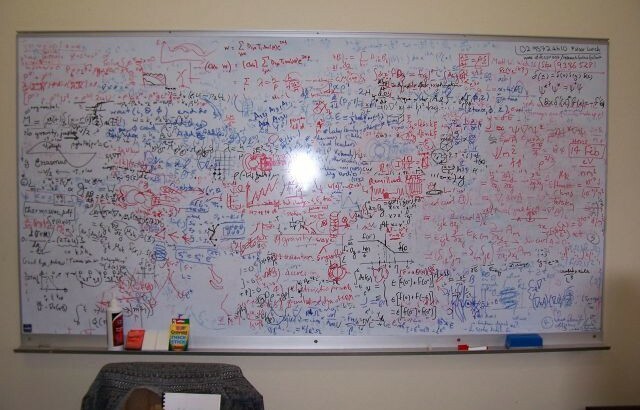 By planning ahead and organizing your whiteboard, before long your board work will be the envy of the teaching staff! esl-blog, The ESL Classroom board work, classroom organization, ESL classroom, teaching English grammar, teaching esl. permalink.